If music’s an essential part of your everyday life this blog is for you! 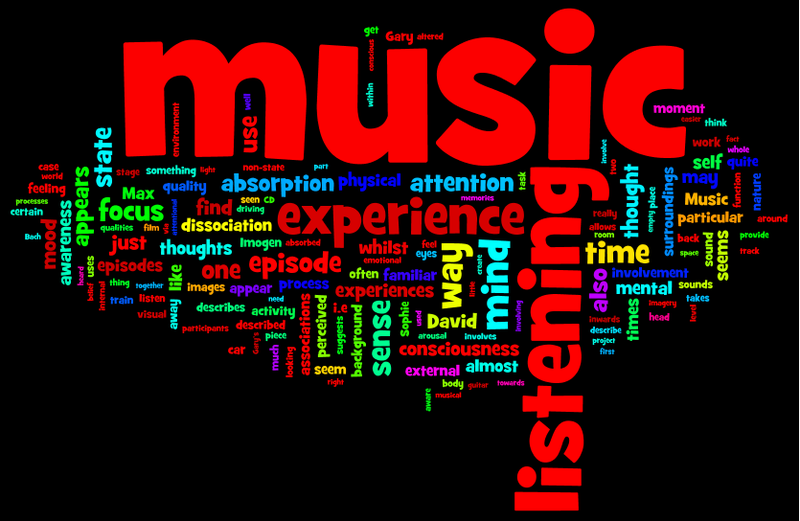 It’s a platform where individuals can share their subjective experiences of listening to music. We normally talk about the types of music or the artists that we like or critique the music we’ve heard. But what’s it like to be someone else listening to music? What do they think about, notice or feel? If you’re curious about why people like to have music in their lives you’ve come to the right place. Every attempt has been made to contact copyright owners of material included on this site and to obtain permission for its use. Our thanks are due to all those who have generously given their consent without charge. In some cases, we have been unable to trace any copyright owner and the material appears to be in the public domain, but please let us know if you suspect any unintended infringements of a copyright. The Music Flows Through Me!